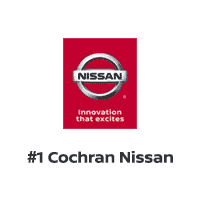 The best Nissan shopping and service experience in the Pittsburgh region is at the #1 Cochran Nissan Group. Whether you are searching for a Sentra, Altima, Maxima, Rogue, Frontier, Juke, Armada, Pathfinder, Murano, Titan or something else from Nissan, our selection of new Nissans, and certified pre-owned inventory has the makes and models you want. We also have an extensive used car selection, and with ClearCut pricing, all of our vehicles feature our best price guarantee. As Pittsburgh’s first-ever four-store Nissan group, we’re able to offer you an unprecedented and unparalleled four times the selection with four times the pricing power of anyone else in the market! We are a locally owned, family dealership, and our organization has been in operation since the 1960s. We place the utmost importance on your car buying experience because our customers truly are our top priority and it shows with programs like our 3-day/150-mile money back guarantee. On top of that, we will even add $500 to your trade-in if all of its services were performed here and provide your first oil change free of charge. Stop into one of our four convenient locations today. With Nissan stores in Moon, Monroeville, South Hills and Zelienople, we serve Robinson Township, Coraopolis, Sewickley, Murrysville, Plum, Trafford, Greensburg, Mt. Lebanon, Whitehall, Castle Shannon, Scott Township, Cranberry Township, Wexford, Mars and all the surrounding areas. We look forward to seeing you soon and showing you why it’s a Clearly Better Car Buying experience at #1 Cochran Nissan Group!